The Courtesy light switches on the S1 (and probably the S2) are situated in the door jam. The drivers side switch operates the internal Courtesy light, however the passenger side switch does not. Either switch may trigger the alarm if it is armed. 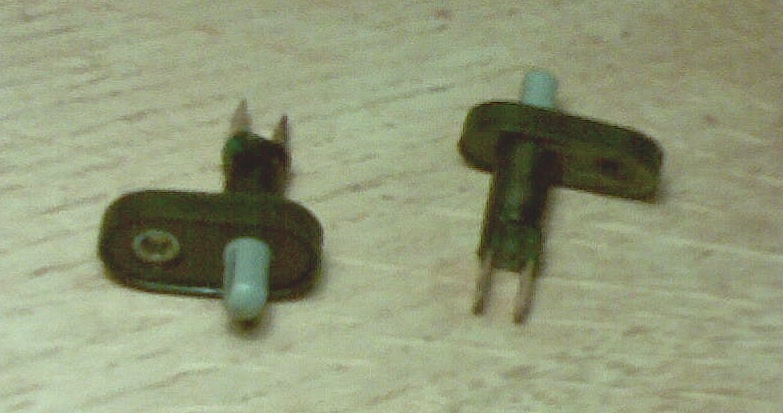 The switch contacts and the Lucar connectors on the back of them are made of copper and tend to corrode to the extent that they become unreliable. The switches used on the Elise are unusual as they have two connections, most cars use the chassis as an earth and so have only a single connection, the Elise having fiberglass bodywork needs two. So far the only supplier found is Lotus, happily they are not expensive. Take care when changing the switches not to allow the cables that attach to the back of them to drop into the sill as there is no access to this part of the car and they will be almost impossible to recover. As a protection against further corrosion the switch contacts and lucar spade connectors can be smeared with a little silicone grease. This page was last modified on 10 February 2019, at 17:19.